Teaching interests: Architectural regeneration and building reuse, urban conservation, regeneration and development project (design studio), international building conservation and heritage management. Aylin is supervisor of a number of PhD students currently undertaking research on topics ranging from the impact of eco-tourism projects on cultural heritage and rural regenertaion, adaptation of historic school buildings into contemporary learning environments and management of of complexity in World Heritage Sites in global cities. 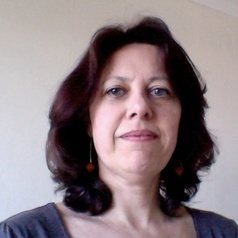 She is external examiner to the MA in Conservation Studies and MA in Buildings Archaeology at the University of York and the MSt in Historic Building Conservation at the University of Cambridge. Tourism and historic towns: the links, synergies and conflicts of image making, conservation, regeneration and tourism management, with a particular interest in the meaning and conservation of heritage in Islamic towns and settlements in the context of tourism development. Other current research and consultancy includes cultural heritage management at historic sites, and the conservation of coral buildings in the Arabian peninsula.